When Nirvana's "Smells Like Teen Spirit" reached millions of disenchanted young people in 1991, the grunge nation was born. When Nirvana's Kurt Cobain killed himself at the age of 27, that era started to fade. This acoustic performance, which was Nirvana's last time on television, is one of those rare records that defines an era in grunge rock music. 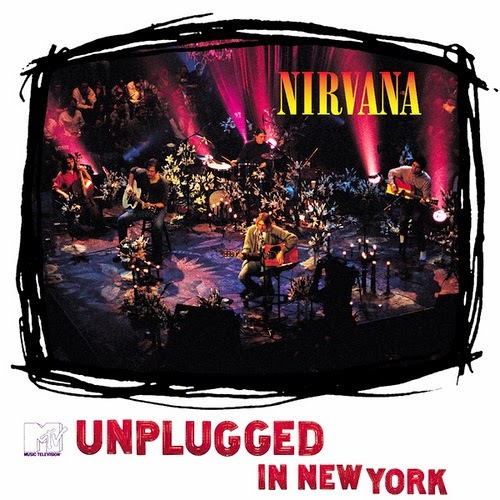 On MTV Unplugged In New York, Cobain and company (including Foo Fighters' Dave Grohl) spend a lot of time paying tribute to their influences. Nirvana performs songs by the Meat Puppets, the Vaselines, and David Bowie. Cobain's blistering interpretation of Bowie's "The Man Who Sold the World" is one of few remakes that sounds better than the original. One disturbing note is that, of the six remakes on this disc, all six are either about death, the price of fame, or both. While many may disagree, Cobain did not possess a great voice, and he wasn't a virtuoso guitarist. What made Nirvana's music special was the amount of feeling that Cobain put into every song and performance. Kurt didn't just sing his songs, he felt them. Cobain preferred to hit a bad note with a bead of sweat than to sing the right note without emotion. For many, that quality made his music hard to listen to. For others, it made him the best performer of this decade. A prime example of this can be heard on the unplugged versions of "Pennyroyal Tea" and "Where Did You Sleep Last Night." MTV Unplugged In New York gives us a taste of what might have been had Cobain not decided to commit suicide. It is the profile of an artist who discovered that success does not equal happiness. Kurt Cobain took his own life before we were ready to lose him, but he left us with songs that will never be forgotten by those who really heard them.